There are as many fascinating business tales as there are finalists in this year’s program. Those are just a few of the fascinating snippets you’ll find on the following pages, as we recognize those honored in this year’s EY Entrepreneur Of The Year program. For the 10th straight year, D CEO is proud to profile all of the finalists in the program’s Southwest region. To select the 2017 finalists, EY assembled a panel of independent judges. They were: Rick Allen, Paragon Healthcare; Mark Dubrow, Onyx CenterSource; Anurag Jain, Access Healthcare; Clane LaCrosse, Bosque Systems LLC; Brian Williams, OneSource Virtual; Amber Venz Box, rewardStyle; Randy Gier, GameStop; Kevin Lavelle, Mizzen+Main; Steve Valenta, NASDAQ OMX; and Gary Wojtaszek, CyrusOne. All the regional finalists in this year’s EY Entrepreneur Of The Year program were honored at a black-tie gala on June 24 at Dallas’ Hilton Anatole hotel. The winners announced there will go on to compete for national recognition in November at EY’s Strategic Growth Forum in Palm Springs, Calif. Some things in life are certain. Among them: People need haircuts. And men often get their hair cut every two to four weeks, says Boardroom Salon for Men CEO Bruce Schultz. Schultz opened the first Boardroom in 2004 with the idea to create an upscale men’s salon. In the early days, Schultz and his wife performed all aspects of the business except the hair-cutting. Since then, they’ve built a great team, and their Southlake-based salon concept has accrued a loyal customer base. Two years ago, David “Sheffield” Clark and Bobby Sharp bet big on bitcoin. The digital currency was relatively new, and the founders believed it would quickly rise to global prominence. Their bet has been lucrative. Coinsource now has 110 bitcoin ATM locations in 10 states, serving about 45,000 customers. The Fort Worth-based company employs 16 people and generated more than $20 million in revenue in 2016. Its next step is to break into new markets and expand services. Not even five years old yet, Arcis Golf has vaulted quickly into the top ranks of the golf business as one of the largest owner/operators of courses in the country. The Dallas company was founded by Blake Walker, an SMU graduate and former chief investment officer for Dallas-based ClubCorp. Walker says he viewed the golf-management business as “stagnant,” especially in technology, so he’s tried to infuse the industry with fresh thinking. So far Arcis has accumulated—and improved—more than 60 private, resort, and daily-fee facilities in major metros nationwide. President and CEO, 7-Eleven Inc. 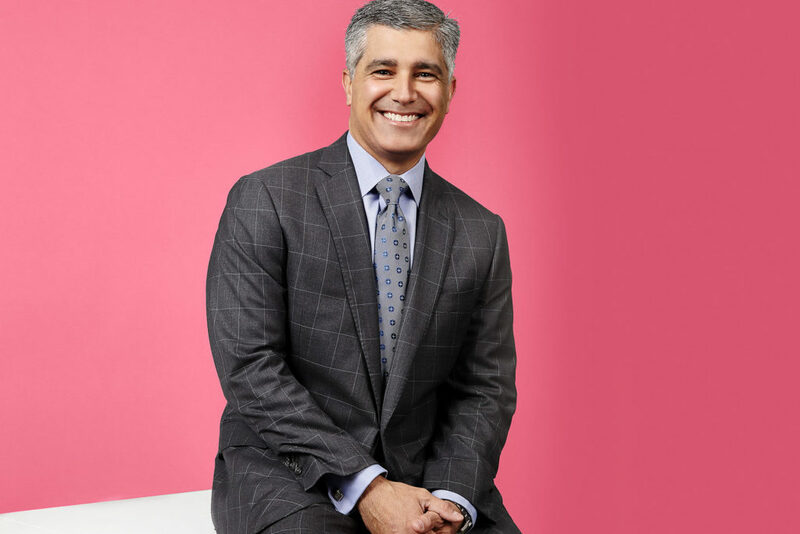 When 7-eleven president and CEO Joseph DePinto came to the company 12 years ago, he took an active approach to refining the brand. 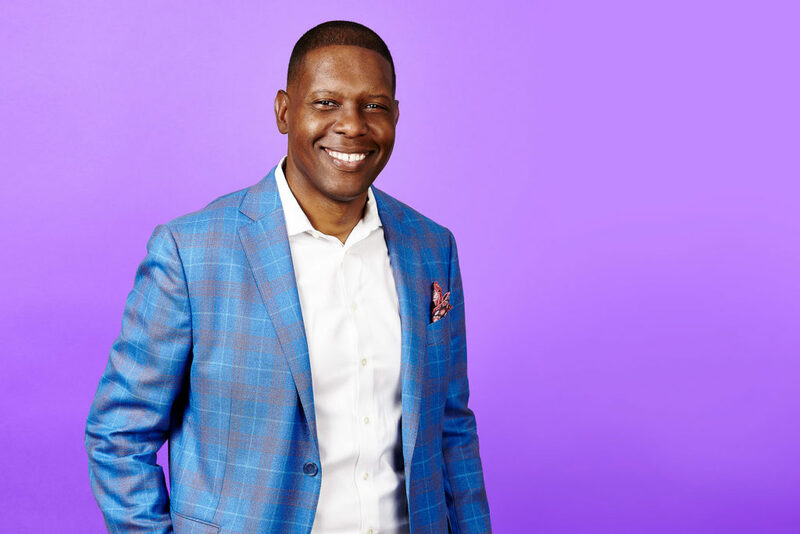 He tackled the company’s debt, transitioned to a franchise model, and improved the company culture by establishing a “servant-leadership” model. And, he hasn’t stopped there. In order to appeal to millennials, 7-Eleven has expanded its food selection and delved into one-to-one marketing approaches. The Irving-based company also aims to reduce its carbon footprint by 20 percent over the next eight years by utilizing wind power and reducing packaging. 7-Eleven has more than 62,000 stores in 19 countries and, over the last three years, has enjoyed a cumulative sales growth of 10.9 percent. When Lewis “Lee” Bird became CEO of Garden Ridge in late 2012, he saw an opportunity—a big-box store where customers could find myriad home décor styles at low prices. But first the brand would need a major transformation. Bird relocated the HQ to Dallas, renamed the company At Home, and created a better workplace environment. Stores were tidied up and scrubbed clean, and he worked to ensure fast turnaround times for new marketplace trends. From 2013 to 2016, At Home’s revenue grew from $364 million to $622 million, and the company has had more than 20 percent unit growth for the past four years. At Home went public in 2016. By 2012, Stephanie Alsbrooks had spent most of her 15-year career buying, building, and tweaking loan-origination systems—and constantly battling the technology status quo. 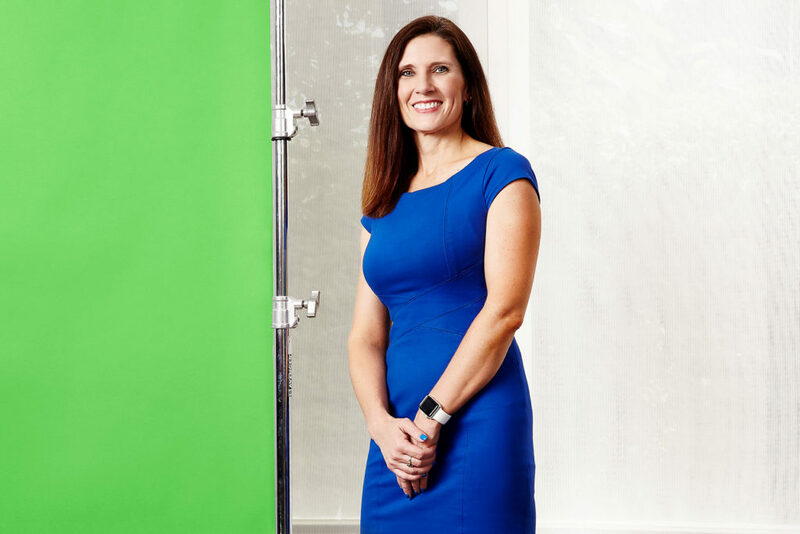 Annoyed by the lack of technological innovation in the auto lending industry, Alsbrooks scraped together her own money, along with cash from friends and family, to launch defi SOLUTIONS five years ago. CEO, Dave & Buster’s Entertainment Inc. In March 2006, Stephen King left TGI Friday’s to join Dallas-based Dave & Buster’s Entertainment Inc., as CFO. By that September, he’d been named CEO. Since then, the company has changed its structure, technology, food, and entertainment options—with the aim of appealing to both families and young adults. In 2011, Bryan DeLuca was traveling in Europe when he ran out of socks. He purchased a colorful pair abroad and, upon returning home, decided that quirky socks suited him. Around the same time, razor subscription service Dollar Shave Club made its debut. “I was struck by the idea of taking something historically boring and making it fun,” DeLuca says. In 2012, he launched Foot Cardigan, a service that delivers funky socks to subscribers’ doors every month. By 2015, the Dallas-based company was growing at a year-over-year rate of 300 percent. 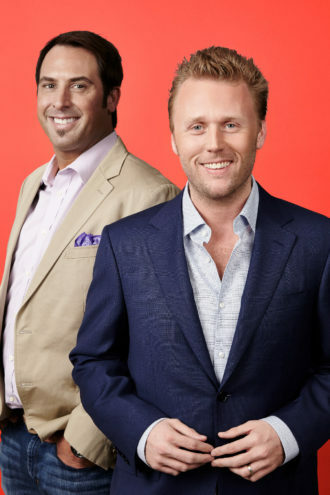 And a week after DeLuca appeared on TV’s “Shark Tank,” his subscriber base doubled. Deca Dental CEO Dr. Sulman Ahmed grew up in Zimbabwe, where he witnessed dentistry at its worst. If someone had a toothache, the tooth was pulled—and a lot of people had missing teeth. He carried these memories with him to the U.S., where he attended dental school. When he began work, he found that business revolved around dentists’ convenience, not patients’. In 2009, Dr. Ahmed opened a private practice built on patient-centered dentistry. At ETC Group, an Arlington-based travel management company, there are no “accounts” or “customers” or “vendors.” Rather, there are partners. Founder and CEO Debbie Frazier views those partners as much more than line items on a spreadsheet. Frazier says her company’s success lies in the strong relationships she and her employees have cultivated with those partners, including 7-Eleven, the Dallas Cowboys, and Dean Foods. For E-Mist Innovations CEO Joshua Robertson, healthcare has always been a family business. After creating a company centered on providing hospice equipment, Robertson started an investment company. He soon fell in love with one of the investments, E-Mist Innovations, and became its CEO in 2016. Based in Fort Worth, E-Mist is an electrostatic disinfection tool that can cover 54,000 square feet an hour. The technology was used during the Dallas Ebola crisis to disinfect nurse Nina Pham’s apartment, and Robertson believes E-Mist can help eliminate the 1.7 million healthcare-associated infections that occur in hospitals each year. When Larry Johnson started as CEO of Fogo de Chão in 2007, he aimed to grow the business without losing sight of its authentic Brazilian steakhouse dining experience. Corey Egan’s success with smart light-bulb company Ilumi boils down to a series of wild cards. In 2010, Egan and future co-founder Swapnil Bora won $5,000 in a business idea competition, which helped them file patents and launch the company in 2011. In 2013, the two raised $200,000 via crowdfunding. They were put in the national spotlight in 2013, when they won $350,000 from Mark Cuban on TV’s “Shark Tank.” Now Ilumi’s bulbs are sold in 1,400 stores including Best Buy, Home Depot, and Target. Chairman and Executive Chairman, Heritage Health Solutions Inc.
James Rosengren, executive chairman of Heritage Health Solutions Inc., has worked in healthcare most of his life. He’s only had three employers: the Army, where he started as a combat medic; HealthNet, where he served as vice president of political and government relations; and Heritage Health Solutions, which he founded in 2005. CEO, Ivie & Associates Inc.
As a corporate vice president more than 20 years ago, Warren Ivie used to believe that advertising agencies didn’t have their clients’ interests at heart. So, in 1993, he launched his own firm to offer companies in-house advertising assistance and put the clients’ needs and values first. A serial entrepreneur, Robert “Bob” Michelson was brought in to help turn around digital signage company RMG Networks in 2014. RMG was a special acquisition company, taking the form of a publicly traded firm after merging with another company. It had been around in some form for more than 30 years and was in “serious distress,” Michelson says. You may not have heard of Plano-based Learfield Communications LLC. But you’ve likely seen its work. Learfield manages multimedia rights and sponsorships for more than 120 college sports programs, conferences, and arenas, including Southern Methodist University and the University of North Texas. In 2016, private equity firm Atairos Group Inc. snapped up the company, which was founded in 1972. Nature Nate’s Honey Co. is a Mc-Kinney-based honey company with a focus on healthy living. Nathan Sheets bought North Dallas Honey Co. as a side business in 1997 and started working there full-time in 2010. He soon changed the name to Nature Nate’s. Today, the honey company has 90 employees and products on the shelves of major retailers like Walmart and Kroger. Leading Newline Interactive, Chris Bradford and Kevin Wang say their business model is the source of success in the touchscreen product market. The key: Newline not only develops the technology, it also owns its own manufacturing facility in China—thanks to Wang’s connections abroad. The two have been business partners for 17 years, launching Newline in 2012. Within the last three years, the company’s top line has increased by 770 percent. When Stephen “Buck” Jones decided to start his own IT company, he chose to go all in. Instead of specializing in one of three industry specialties, as most firms do, he set out to provide all of them. He launched Plano-based Pegasus Technology Solutions in October 2014, offering value-added reselling, managed services, and professional services. Quincy Roberts earned a bachelor’s degree in music, with an emphasis on vocal performance, from Indiana University in 2002. As a solo vocalist, he’s performed with groups including the Dallas Opera and the Cincinnati Symphony. Today, however, he’s singing an entirely different tune. Roberts leads Dallas-based Roberts Trucking Inc., which specializes in transporting construction materials for commercial construction companies. During his career in the executive search industry, Greg Moran grew frustrated by how many companies he saw making bad hires. So, he figured, why not improve the hiring process by applying analytics? Thus, Dallas-based Outmatch was born. The company supplies predictive data enabling employers to match the right people to the right roles. 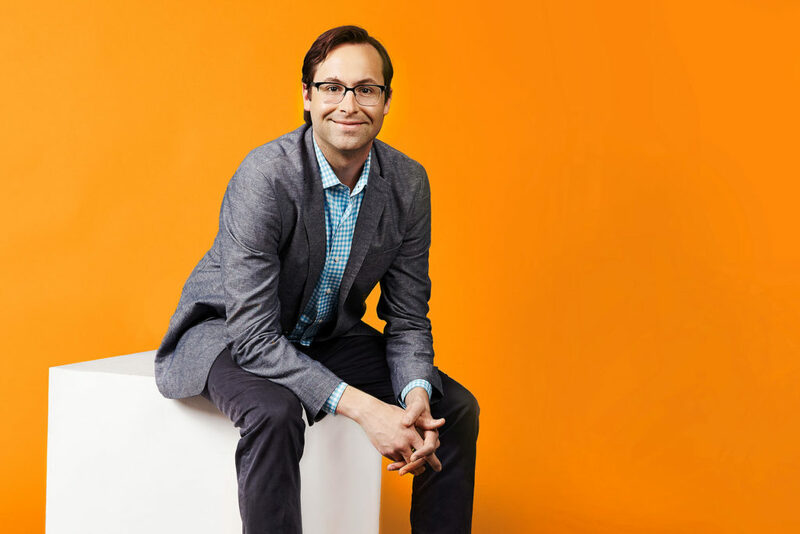 Moran founded Chequed.com in 2009; his company merged with Assess in 2015 to form Outmatch. George Baker Sr.’s history with the parking industry dates back to age 12, when he started working for his family at Parking Co. of America. As the years passed, he identified inefficiencies within the business and began developing products to solve them. 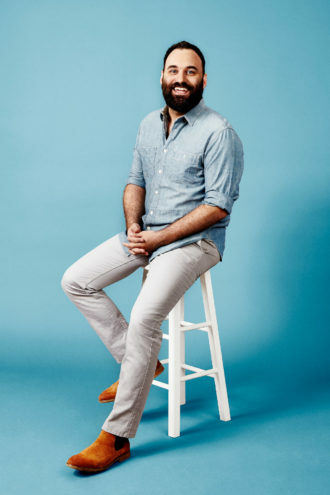 ¶ In 2010, he launched Dallas-based ParkHub, a mobile application that initially allowed drivers to search and pre-pay for parking spots in real time. It has since transitioned into a B2B platform serving as a vendor for stadiums and arenas. Kent McKeaigg initially created what would become OrderMyGear to help his father, who worked in sporting goods, with large orders from youth sports organizations. But instead, he ended up bootstrapping a company that’s thrived for nearly a decade, growing 100 percent annually for the past three years. The online store helps teams, leagues, schools, distributors, and manufacturers streamline the ordering process for team gear. McKeaigg expects OrderMyGear, which employs 55 people, to generate $15 million in revenue this year. After a series of failed businesses and bankruptcies, Suzy Bátiz launched Poo~Pourri in 2007. With the help of clever packaging and a hilarious viral video, her oil-based, before-you-go bathroom spray took the world by storm. Today, Poo~Pourri has sold more than 22 million bottles in 42 countries. The Addison-based company is hard at work on new product lines, and recently launched an in-house production studio. Bátiz is also a staunch supporter of women’s empowerment. Poo~Pourri has contributed $30,000 to Lotus Outreach International and $30,000 to the National Coalition Against Domestic Violence. At his previous it employer, Sam Darwish saw a recurring customer need: an opportunity to break up the way the company bought, delivered, and serviced hardware for its clients. So in 2010, Darwish founded Skinny IT. The Frisco-based company employs 50 people worldwide, serves 150 clients, and is expected to generate eight-figure revenue by year end, Darwish says. Founder and CEO; Co-Founder and Chief Operating Officer, POWERHANDZ Inc.
For athletes, competition boils down to winning and losing. Many athletes who are customers of POWERHANDZ Inc. certainly see a winner in the Dallas-based company—a maker and distributor of sports training products, including performance-boosting gloves. “We design products that really help athletes perform better,” says Danyel Surrency Jones, whose startup launched in 2015. In 2007, Andrew Reiss bought a printing press with the dream of starting a successful company. He had no idea how to use it, so he hired a guy from craigslist to teach him. Popular Ink, which specializes in printing on food-industry items, started in a barn, with Reiss filling every role from CEO to janitor. In 2008, Sachin Nayyar set out to offer a cybersecurity service integrating behavior analytics. “We … [said], ‘Why don’t we build a behavior for every user and machine, and see when there are anomalies?’” Nayyar says. Alex Danza says he saw a lack of innovation in the U.S. motor-coach industry. So he founded Dallas-based Vonlane, which provides first-class luxury bus service between Austin, Dallas, Houston, and San Antonio. Carrying slightly more business than leisure passengers, each of the company’s buses has fewer than two dozen seats, plus amenities like complimentary food and drink, an on-board attendant, Wi-Fi, satellite TV, and a conference room. President and CEO, The Bill Shaddock Cos.
William Shaddock, The Bill Shaddock Cos.
Bill Shaddock took one of his biggest business risks during the 2008 financial crisis. Shaddock used his strong cash position to expand into new markets and scoop up talent as others floundered. “I continued to aggressively grow while other people were hunkered down,” he says. VARIDESK originated when founder Dan Flaherty, diagnosed with sciatic nerve pain that made it tough for him to sit, tried to find a reasonably priced, easily assembled stand-up desk. Long story short, he couldn’t find one. Craig Hall has been an entrepreneur since he bought a small rooming house at age 18 to rent out in his hometown of Ann Arbor, Mich. One thing led to another and Hall, who moved his company to Dallas in the early 1980s, had amassed a portfolio worth $4 billion by the age of 35. But it hasn’t always been easy. He filed for bankruptcy in 1992, and had to rebuild. A year later he was married to Kathryn Hall, an attorney and co-founder of the North Texas Food Bank who joined him in the business. Today their company called the HALL Group has diversified interests in real estate, financial lending, hospitality, winemaking, art collecting, and investments. “He’s exciting to work with and exasperating to work with at times,” Kathryn says. Innovation is always part of the mix in the HALL Group businesses, like the automated optical scanners used for sorting grapes at their California vineyard (photo at left). And Craig, who owns two electric cars, is currently studying driverless vehicles and flying cars with the hopes they’ll eventually become a HALL Park amenity. In his two years at the helm, Barclay Berdan has led a number of entrepreneurial efforts at Arlington-based Texas Health Resources. As CEO of a faith-based nonprofit that’s now the region’s predominant healthcare provider—its market share is nearly 28 percent—Berdan has expanded THR’s behavioral health services, forged innovative partnerships with Aetna and UT Southwestern, and implemented a “reliable care blueprint” focused on improving outcomes of all stripes. Founder, Vice Chairman, and CEO, Triumph Bancorp Inc. When then-28-year-old Aaron Graft moved to snap up Dallas’ troubled Equity Bank during the Great Recession, his plan was to refocus the bank on commercial real estate lending. By the time the drawn-out acquisition process was finally over in late 2010, however, it made more sense for the revamped institution to target commercial finance instead.